A padlock is a portable lock used to pass through an openng in a chain link or hasp to prevent theft or vandalism and has been around since Roman Era 500 B.C. Two thousand five hundred and nineteen years have come and gone and no thought by current day padlock manufacturers to invent an alternative 21st century use application for their padlock shackle. 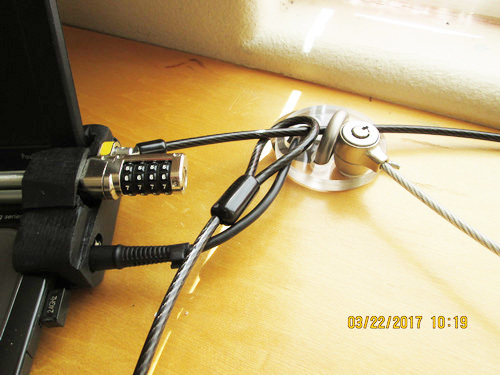 My patented Security Anchor for a desktop grommet opening uses a padlock shackle. 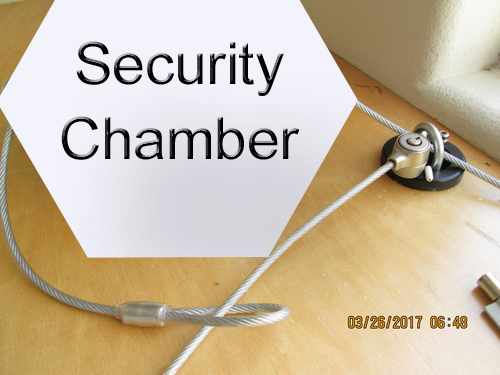 Security Anchor secures anything electronic or not placed on or near a desktop grommet opening, a person thought to be guilty of a crime or a Roman Era sword and shield from 500 B.C. And If you like simple, US patent #8,646,294 Securement Locking Device for your Apple MacBook Pro, Microsoft Surface Laptop or like. View @ YouTube. IP rights available. Twitter @securityanchor April 8, 13 & 17, 2019. 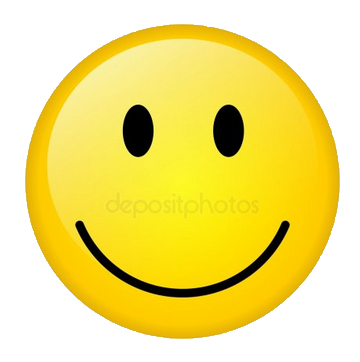 IP rights are available for sale, license or to a patent assertion entity. Obtaining foreign IP rights in a specific country or region can be very time sensitive. 1 - Clicksafe secured to US patent #9,603,446 & #9,816,296 Security Anchor, my US patent #8,646,294 Securement locking device and other cable locks. 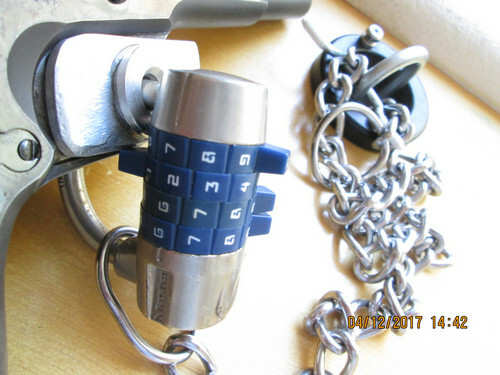 2 - Clicksafe secured to US patent #9,603,446 & #9,816,296 Security Anchor, my US patent #8,646,294 Securement locking device with folding handcuffs. 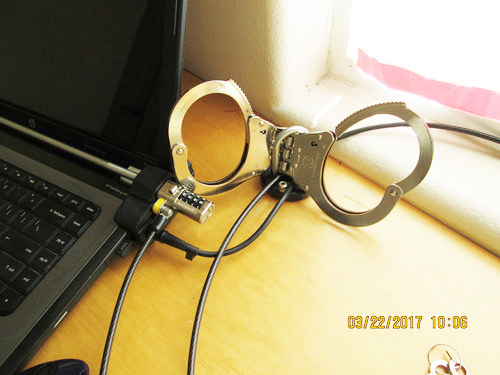 3 - Clicksafe secured to US patent #9,603,446 & #9,816,296 Security Anchor, my US patent #8,646,294 Securement locking device using handcuff cable tie. 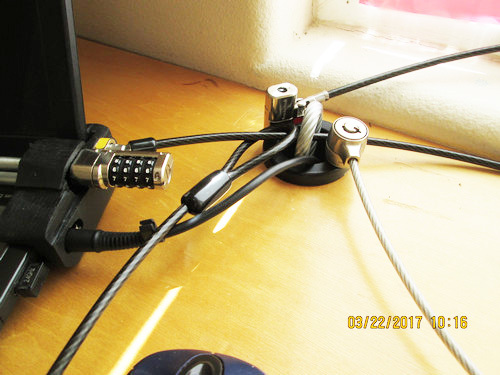 4 - Clicksafe secured to US patent #9,603,446 & #9,816,296 Security Anchor cable, my US patent #8,646,294 Securement locking device and more cable locks. 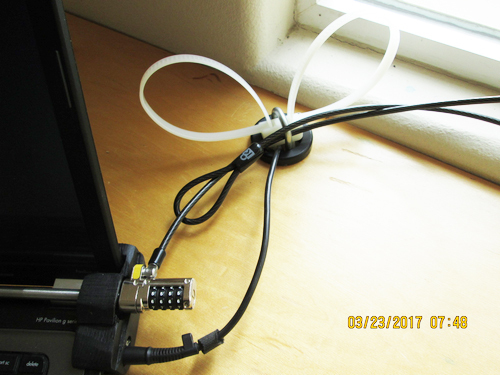 5 - Clicksafe secured to US patent #9,603,446 & #9,816,296 Security Anchor cable, my US patent #8,646,294 Securement locking device using heavier cable. 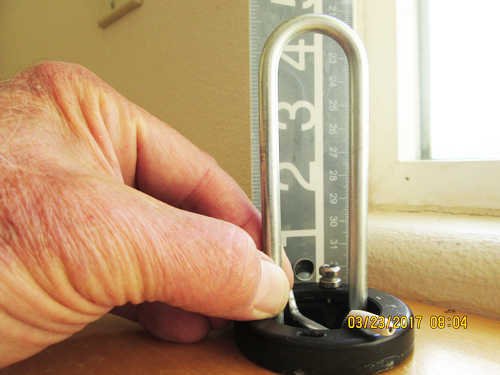 6 - Clicksafe secured to US patent #9,603,446 & #9,816,296 Security Anchor, my US patent #8,646,294 Securement locking device using heavier shackle. 7 - Clicksafe secured to US patent #9,603,446 & #9,816,296 Security Anchor, my US patent #8,646,294 Securement locking device and shackle support member. 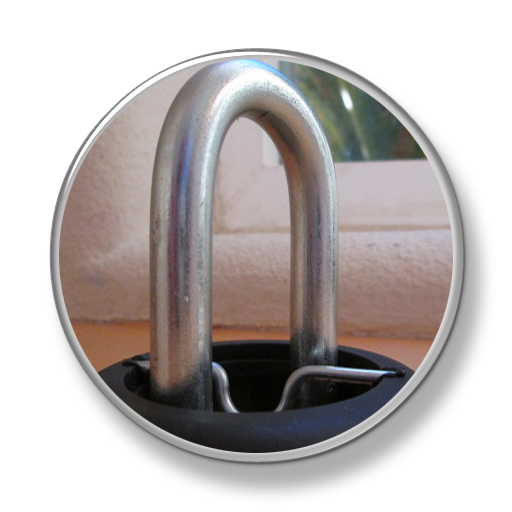 8 - US patent #9,603,446 & #9,816,296 Security Anchor showing extended height of Security Anchor, support member and provided security slot for a security nub. 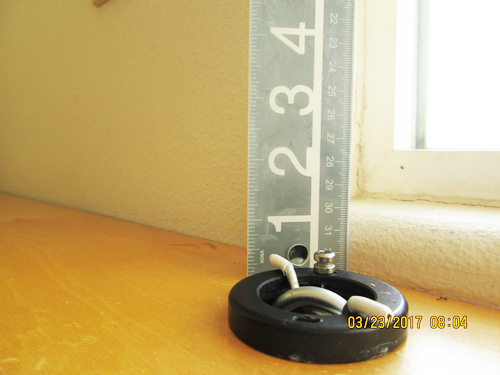 9 - US patent #9,603,446 & #9,816,296 Security Anchor showing minimized height of Security Anchor, support member and provided security slot for a security nub. 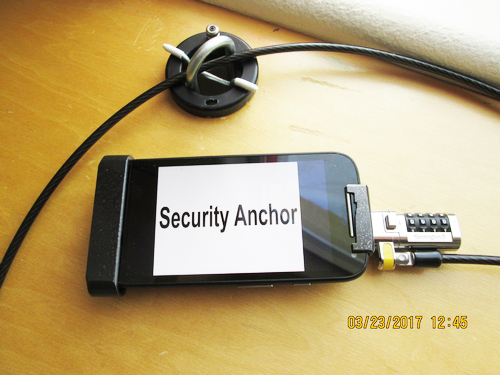 10 - US patent #9,603,446 & #9,816,296 Security Anchor secured to US patent #8,783,073 Apparatus For Securing a Portable Electronic Device or US patent #8,935,943 Apparatus For Securing A Portable Electronic Deive and my Moto e smart phone or perhaps one day I can afford an iPhone X using a Clicksafe, Nanosaver, Microsaver or a padlock. 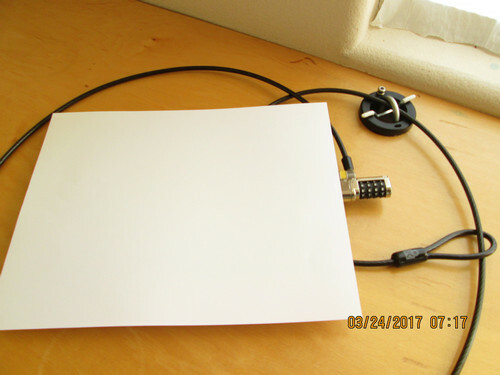 11 - US patent #9,603,446 & #9,816,296 Security Anchor locking to an Apple iPad or like covered with a sheet of 8.5" x 11" copy paper to protect IP rights to patentability using a Clicksafe or like though could be a Microsaver, Nanosaver or a padlock. 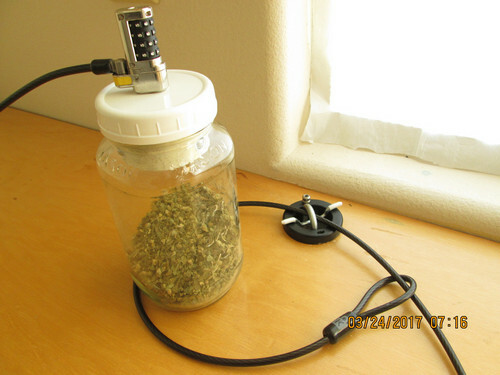 12 - US patent#9,603,446 & #9,816,296 Security Anchor locking to my US patent #8,640,510 Interface Member For Lock System using a Mason jar which could contain cookies, chocolates, hard candy's, tokens, coins, peanuts, pills, pot or as shown Basil using a Clicksafe or like though could be a Microsaver, Nanosaver or a padlock. 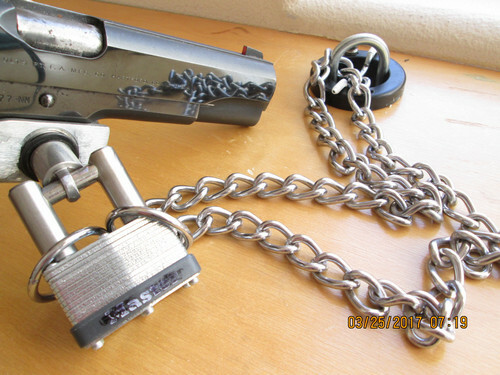 14 - US patent #9,603,446 & #9,816,296 Security Anchor secured to a Colt 45 using my US Patent #8,720,097 and my US patent #8,640,507 Horizontal Shackle For Lock System and Method with my US Patent #8,640,511 Low Profile Lock Interface System and Method and a Clicksafe though could be a Microsaver, Nanosaver or a padlock. 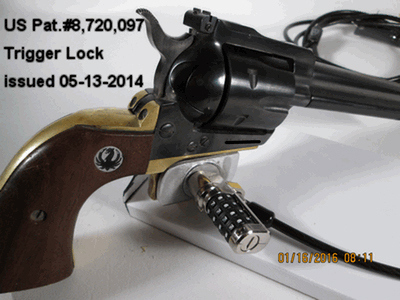 15 - US patent #9,603,446 & #9,816,296 Security Anchor locking to a Colt 45 using my US patent #8,726,703 Low Profile Lock Interface System and Method with US Patent #8,720,097 Trigger lock using a cable locking device or like. 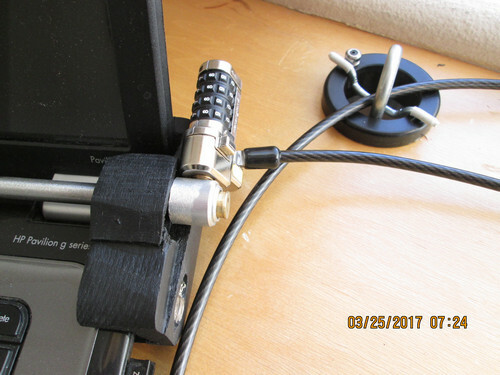 16 - US patent #9,603,446 & #9,816,296 Security Anchor secured to my US patent #8,646,294 Securement Locking Device secured to my laptop using my US patent #8,726,703 Low Profile Lock Interface System and Method and a Clicksafe or like. 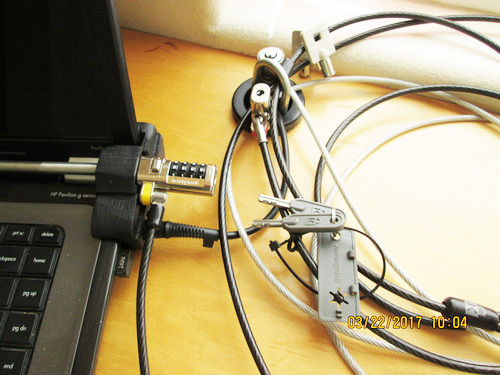 17 - US patent #9,603,446 & #9,816,296 Security Anchor secured to a locked Security Chamber hidden from view to protect possible IP rights to patentability, contains 73.870 ounces of Yukon mined gold, an automobile key fob, cell phone, $700.00 dollars in small bills and a small bag of cocoa nibs using an older keyed Microsaver or Clicksafe like or could be a padlock with cable/chain. 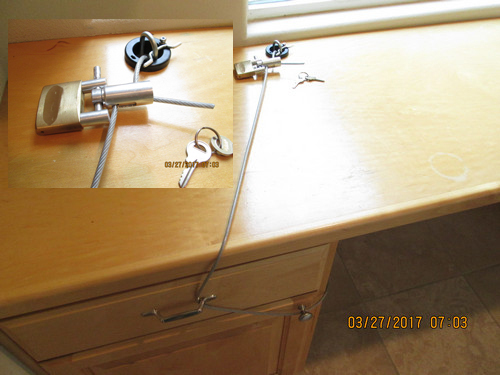 18 - Using my US patent #8,640,507 Horizontal Padlock using my US patent #8,899,080 Cinch Lock Apparatus and Method. 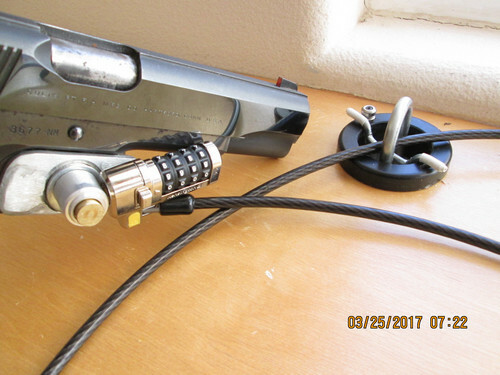 19 - Easily secure Ruger .357 Magnum using laptop computer lock using US patent#8,720,097 Trigger Lock. ®Disclaimer: Product names, logos, brands, and other registered trademarks featured or referred to within this website are the property of their respective trademark holders. Trademark holders are not affiliated with Security Anchor, my products, this website and they do not sponsor or endorse Security Anchor or any of my patent pending or soon to be patent pending prototype concepts. Warning: Any warranty expressed or implied is limited to purchase price of this product. Manufacturer and/or seller shall not be liable or responsible for any loss or damage, whether direct, indirect, incidental, special or consequential, arising out of sale, use or misuse, or user's inability to use this product and is strictly limited to either replacement or refund of purchase price of this product. US patent IP rights also available on below nine. US patent # 8,640,507 issued 02-02-2014 - Horizontal Shackle For Lock System And Method. US patent # 8,640,511 issued 02-04-2014 - Low Profile Lock Interface System And Method. 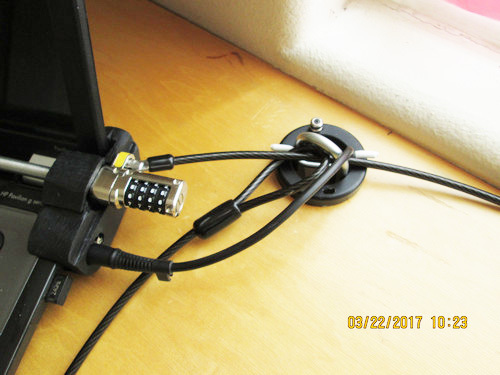 Use application for a Kensington Clicksafe or like to lock sideways to security anchor nub so as not to be sticking straight out from nub. Can also be used with Trigger Lock. US patent # 8,646,294 issued 02-11-2014 - Securement Locking Device. 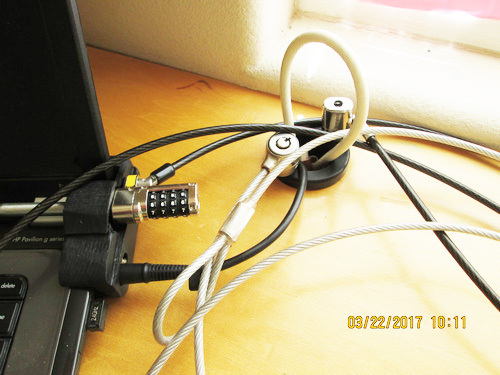 Use application for a Kensington Clicksafe Master Coded Combination lock or not Apple Macbook or like laptop computers in open screen position. 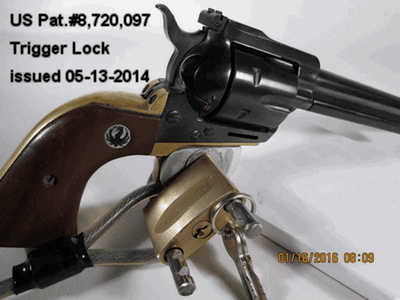 US patent # 8,720,097 issued 05-13-2014 - Trigger Lock. 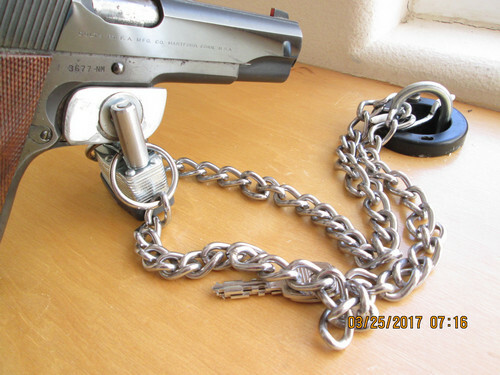 Use application for a keyed or combination padlock or a Kensington Clicksafe or like lock/secure a gun or rifle trigger. .
Left click Security Anchor to send me an email.